This deliciously fruity organic Mandarin toothpaste is great for children and babies who don’t like mint. 100% natural it's safe for brushing babies' gums and milk teeth, its also non-toxic so safe if swallowed. Contains organic Mandarin, Orange, Myrrh and antioxidant Olive Leaf extract which helps to protect gums. Made without Fluoride, SLS, Triclosan, Sorbitol, Parabens, phthalates, artificial sweeteners, petrochemicals, hydrocarbon, aluminium contamination and colourants. 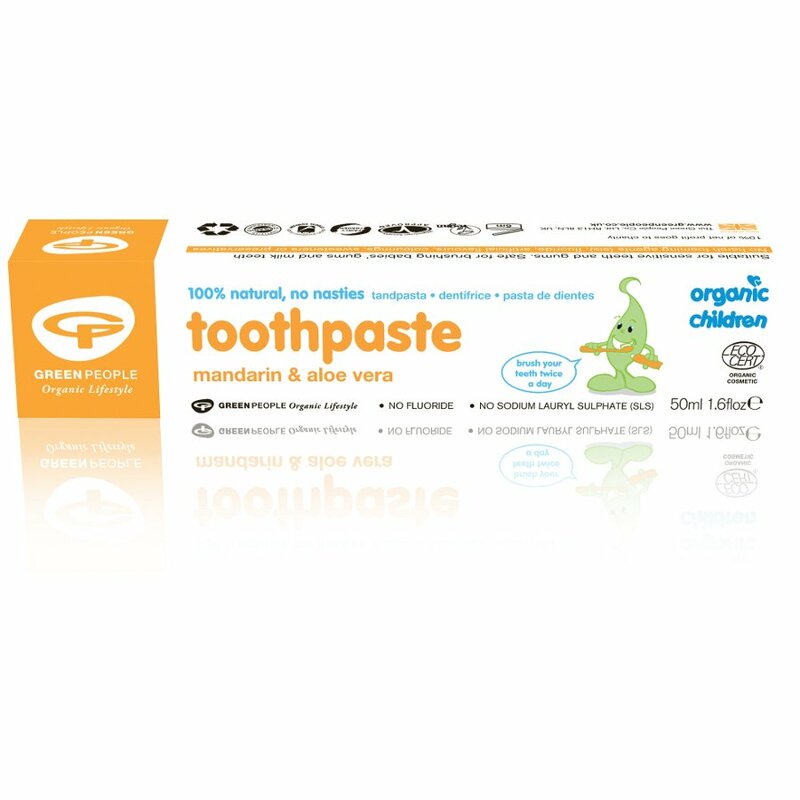 The Green People Children's Toothpaste - Mandarin - 50ml product ethics are indicated below. To learn more about these product ethics and to see related products, follow the links below. Smells great, my 2 year old loves it, and she enjoys brushing her teeth, in her own way, then I do them after. Good ingredients and flavour, seems to work well for my baby. As with everything I purchase from Ethical Superstore the items are used daily and the cleaning materials work well and cause no harm to both your skin or your clothes. There are currently no questions to display about Green People Children's Toothpaste - Mandarin - 50ml.